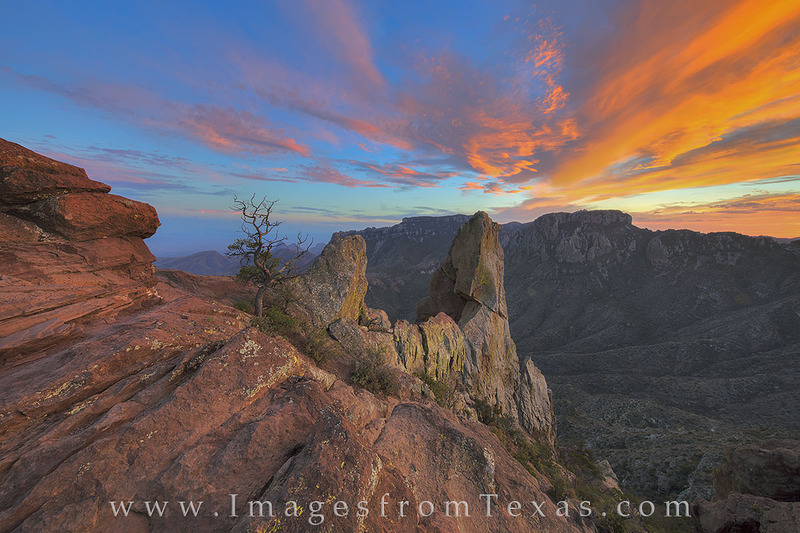 This vista overlooks Juniper Canyon with the South Rim of Big Bend National Park in the distance. At this point, you’ve reached the end of the Lost Mine Trail, but the payoff is spectacular views of the Chisos Mountains. Linger for sunset and you may be blessed with colorful skies as the day draws to an end in this incredible Texas national park. Photo © copyright by Rob Greebon.